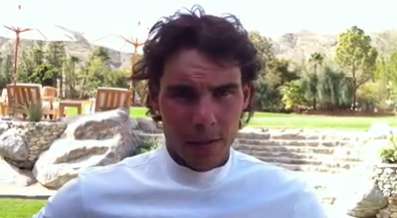 In a video posted on Rafa Nadal's Official facebook, he took the time out to send his support to all of Japan, moral support. Rafa is such an honorable and compassionate young man. An example to other young people, out hearts and minds are with Japan. If anyone would like to send their support you can Text REDCROSS to 90999 to donate $10 to help Japan.